Nancy Price started Nancy Price Interior Design over two decades ago in Jackson, Mississippi. Nancy has been the lead designer where she has forged a successful career that centers on her innate ability to see the sum of the details that make up an exquisitely designed space. 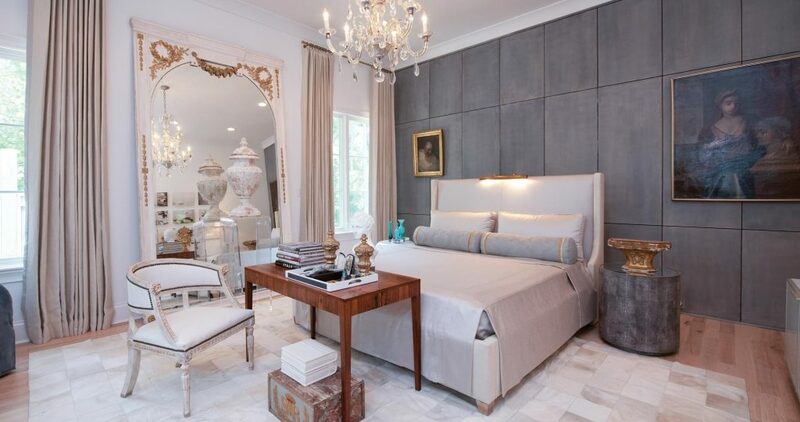 Over a successful career, Nancy Price Interior Design has cultivated a reputation for providing clients with an elegant and well-composed vision and execution of each project whether it be commercial or residential. Nancy Price’s story is steeped in the warm tradition of Louisiana where she was born and raised. Nancy is quick to point out that growing up in Creole culture, surrounded by a mix of French, Spanish and African influences, heightened her natural ability to create compositions of complementary elements from different styles. As the granddaughter of a master craftsman, Nancy developed an early love for both design and art. She applied her natural eye for beauty to designing interior spaces of homes that her husband and business partner, John Price, was building through his design/build firm. Word quickly spread of Nancy’s talent, referrals poured in, and John and Nancy watched as Nancy Price Interior Design grew from a part-time interest into a highly sought-after business. Nancy has also had the honor of working on projects designed by esteemed architects such as Hays Town, Ken Tate, and Bobby McAlpine. Nancy enjoys working with architects because she speaks their language and they enjoy the clarity of her vision. Contact Nancy Price Interior Design to start creating your one-of-a-kind space today.